Kenny Loggins came to perform Live in Paris last sunday, 21st of June. For this exceptionnal event we had the pleasure to meet him and he kindly accept to shot an interview. Thanks to our friend Richard Benhaim of WWL production. Michael Jackson passed away. Another legend of the Music World is gone. American pop legend Michael Jackson has died of a heart attack at age 50 on June 25, 2009. His contribution and impact on the world of music is immense. He was an extraordinary talent who touched the hearts and minds of millions of fans internationally. "Thriller" is one of the best selling album of all times. He sold over 750m albums worldwide and won 13 Grammy awards. "Don's albums were like State of the Union addresses delivered with the perception and sharpness he had honed in the Eagles during the 1970s. He could be relied on to comment on what was going wrong in his country in ways that wereentertaining as well as thought-provoking." The Very Best Of Don Henley is the first career-spanning collection of all his classic hits, covering his tenures at Elektra, Geffen and Warner Bros Records. The CD includes such classic tracks as "The Boys Of Summer" and "The End Of The Innocence." This deluxe CD/DVD version adds a bonus DVD with 6 iconic music videos as well as 4 bonus audio soundtrack rarities. The return of German Band Bad Sister with "Because Rust Never Sleeps"
It has finally been done! 20 years after its AOR classic 'Heartbreaker' German AOR and melodic hard rock band BAD SISTER has released a new album. Because Rust Never Sleeps is the third CD of the band from Hamburg - finest classic rock, AOR and melodic rock which they play in the style of Heart, Journey, Foreigner, Giant, Survivor and others. In the 1980s the band around singer Suzie Lohmar gave already rise to much comment when they supported Deep Purple singer Ian Gillan and the Detroit rock shouter Mitch Ryder. Their first album 'Heartbreaker' (1989) is considered to be one of the classics in the international AOR-scene. BAD SISTER – Because Rust Never Sleeps to be released on June 26th 2009 by Distinct Music (DM 803728, distributed by CMS/Sony). What an event! The come back of Fleetwood Mac, live, for a European Tour, this autumn with a concert date in Paris, October 17 at the Zenith. Fleetwood Mac will start a new European tour called "Unleashed" October 8 in Copenhagen (Denmark) that will finish November 3 in Birmingham (United Kingdom). 15 concert dates are already announced and probably more to come like written at Fleetwood Mac official website. Line-up of Fleetwood Mac for this forthcoming tour in Europe :. Fleetwood Mac, European Tour 2009 "Unleashed"
October 22, Glasgow, United Kingdom S.E.C.C. Kenny Rankin appeared on The Tonight Show more than twenty times. Host Johnny Carson was so impressed by him that he wrote the liner notes to Rankin's 1967 debut album Mind Dusters, which featured the single "Peaceful." Helen Reddy would reach #2 Adult Contemporary and #12 Pop in 1973 with a cover of it, released as her follow-up single to "I Am Woman". Georgie Fame also had a hit with this song in 1969, his only songwriting credit to hit the British charts reaching number sixteen and spending 9 weeks on the chart. 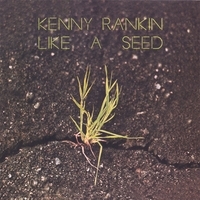 Kenny Rankin was raised in New York and was introduced to music by his mother who sang at home and for friends. Early in his career he worked as a singer-songwriter, and developed a considerable following during the 70s with a steady flow of albums, three of which broke into the Top 100 of the Billboard Album Chart. His liking for jazz was evident from an early age but the times were such that in order to survive his career had to take a more pop-oriented course. By the 90s, however, he was able to angle his repertoire to accommodate his own musical preferences and to please a new audience while still keeping faith with the faithful. Rankin's warm singing style and his soft, nylon-stringed guitar sound might suggest an artist more attuned to the supper-club circuit than the jazz arena, but his work contains many touches that appeal to the jazz audience. His accompanists might include Alan Broadbent, Mike Wofford and Bill Watrous, and on such occasions the mood slips easily into a jazz groove. His compositions have been performed by artists such as Mel Tormé and Carmen McRae, while Stan Getz said of him that he was "a horn with a heartbeat". Stephen Bishop had a major hit in 1977 with his song "On and On", which was a #11 hit in the U.S.
Rankin was deeply interested in Brazilian music and his Here In My Heart, on which he used jazz guests including Michael Brecker and Ernie Watts, was recorded mostly in Rio De Janeiro. More contemporary songs were given an airing following his move to Verve Records, including the Beatles' "I've Just Seen A Face" and Leon Russell's magnificent "A Song For You". 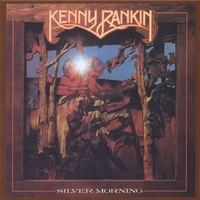 Rankin's own unique gift for reworking classic songs such as The Beatles' "Blackbird," which he recorded for his Silver Morning album, so impressed Paul McCartney that he asked Rankin to perform his interpretation of the song when McCartney and John Lennon were inducted into the Songwriters Hall of Fame. Rankin died in Los Angeles from lung cancer on June 7, 2009. He was 69 years old. MASTEDON featuring John Elefante is BACK! Frontiers Records announces proudly the signing of MASTEDON featuring former KANSAS singer John Elefante for the release of the long awaited third studio album. John Elefante’s name came to prominence in 1981 when he became the new lead singer and keyboardist for Kansas. John sang the lead vocals and performed keyboards on three multi - Platinum albums with band, giving also a major songwriting contribution. In 1984, together with his brother Dino, he started to become involved for the first time in producing the Christian act Sweet Comfort Band. Soon the couple became one of the most renowned producers in the genre, in particular their tenure with Petra brought multiple gold and platinum albums, 10 consecutive CCM Magazine Reader’s Choice Awards, induction into the Gospel Music Hall of Fame and Hard Rock Cafe, and the only artist to ever have 4 albums in the SoundScan top-100 Christian chart. Elefante also felt the songwriting muse and formed a metal band with his brother, Mastedon. The band's name was a pachyderm-inspired reference to the brothers' last name. Although John was an accomplished vocalist and performer, the Mastedon albums featured multiple lead singers and performances by other artists, creating an eclectic sound anchored by John’s songwriting. His brother Dino played a prominent role, contributing songwriting and handling most of the guitar work. Mastedon's first release was titled "It’s a Jungle Out There!" (1989). A year later, the band released "Lofcaudio". The albums charted at #25 and #10, respectively in the Billboard Top Contemporary Christian chart. To this day, they are still considered classics in the genre. In 1996 John started a solo career that brought him to release three successful albums more in the Adult Contemporary - Pop Rock vein. After a few years of hiatus, John is now working on a new Mastedon album that - contrary to the predecessors - will only feature his amazing lead vocals. Musically, the new album will hearken back to the best of Mastedon and to his work with Kansas. "Mastedon has far surpassed my expectations as far as longevity and shelve life" says John. "I would say it has garnered somewhat of a cult following. I have people from 17 years old to 50 something that still ask me about Mastedon and will there ever be another one? My answer has always been "I don't know" But the writing is on the wall that after all this time, it is time to deliver a new Mastedon record and mainly because people that loved the first 2 can't be ignored any longer. This record will differ in some ways and others it won't. Being the majority songwriter there will be obvious similarities in style. I will be singing everything so that will change a bit from prior Mastedon projects. Also the sonic quality will be very much up to date. Rich melodic harmonies and melodies are the keys to a Mastedon record. This record will most certainly be the beginning of a new chapter in my life both musically and lyrically. One day you turn around and it's been 10 years since you've done a project, but when it really sinks in that you were put on this earth to something, YOU MUST DO IT !!!" Frontiers salutes the return of a legendary artist and looks set to release Mastedon “III” in the fall of 2009. Kenny Loggins's new album "All join us"
Kenny Loggins will be entertaining audiences in a special QVC appearance on Thursday, June 11 at noon (ET) when he unveils his latest album, "All Join In". The new album features original songs plus new renditions of classic pop hits, including The Beatles' "All Together Now" and "Two Of Us," Randy Newman's “You’ve Got A Friend In Me", the Del Vikings Fifties classic “Come Go With Me," Traffic's "You Can All Join In" (Featuring former Traffic member, Dave Mason) and Donovan's "There Is A Mountain," which features Kenny's 11-year old daughter Hana contributing vocals. WWL (What We Like production) is pleased to announce the venue of Kenny Loggins (the author of big hits such as "Footloose", "Danger Zone", "What a Fool Believes" and founding member of Loggins & Messina) for the first time in Paris for an exceptionnal show, on June 21st, 2009. Don't miss it!! Get Tickets here: Ticket Net, Fnac, Théâtre Marigny. interview with Bill LaBounty on ACMJ about his new album "Back To Your Star"
READ 2 EXCLUSIVE INTERVIEWS WITH BILL LABOUNTY RELEASED BY OUR FRIEND TAKESHI ITO FOR "ADULT CONTEMPORARY MUSIC IN JAPAN"!